Save two dollars when purchasing this 3 bar soap combo. Soap bars are ... 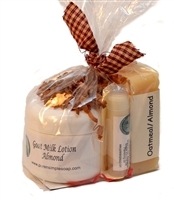 The mini gift set is neatly packaged in clear bag with decorative paper shreds and ribbon. Inside you will find three of our most popular products. Pick and choose between various scents and flavor for each item. 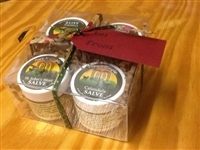 Build and customize a Pure-N-Simple Soap gift box. Includes 5 of our most popular product. Pick and choose between various scents and flavor for each item.